3% down payment assistance forgivable loan. Montgomery County provides HOC borrowers a 3% loan to cover the majority of the down payment. This loan is forgiven after living in the property for five years as a primary residence. For borrowers who also work in Montgomery County, the county will also provide a repayable loan of 5% of the sales price, up to $10,000. This loan is repaid back to the county over ten years at an interest rate of 5%. For borrowers who a) qualify for conventional Freddie Mac financing and b) meet the income limits, an additional grant may be available. Borrowers with less than 50% of area median income ($58,600) can get a $2,500 grant. Borrowers with less than 80% of area median income ($93,760) can get a $1,500 grant. So, particularly for buyers who work in Montgomery County you could find yourself being able to purchase in the county with little to no outlay of cash. As a reminder, typically closing costs represent 3% of the sales price. I am always happy to answer any questions. Watch the video with more on this program, and other Maryland first time buyer benefits. For those who would like assistance with the down payment or closing costs, the program has two options. You could select a lower interest rate mortgage with a repayable, zero interest loan of $5,000 OR 3% of the sales price. This money may be applied to your cash to close, and must be repaid when you move out or sell. Or, you can apply for a grant of 4% of the loan amount. More information at https://alexjaffe.com/grant and the grant program comes with a higher interest rate. For those eligible for Conventional MMP financing, with credit scores about 680, you will be eligible for reduced mortgage insurance. The minimum credit score for CDA FHA is 640. The minimum credit score for CDA conventional is 680. You don’t need to be a first time buyer to participate in this program, but you can’t own real estate at time of purchase. 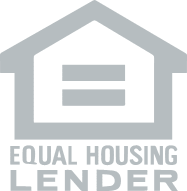 This video also discusses the HOC loan, and more information on that program may be found here.